For good gravy, it’s essential to add flour to the mixture before it gets too hot. Question: How do you thicken turkey gravy? Answer: The art of gravy making can be a challenge. It is critical to cook the flour in about an equal portion of fat until the flour has lost its raw taste. The trick is to add flour to the liquid before it is hot. Lumpy gravy is a result of flour (or cornstarch) cooking in the heated liquid. Many people use too much flour, which decreases the flavour. 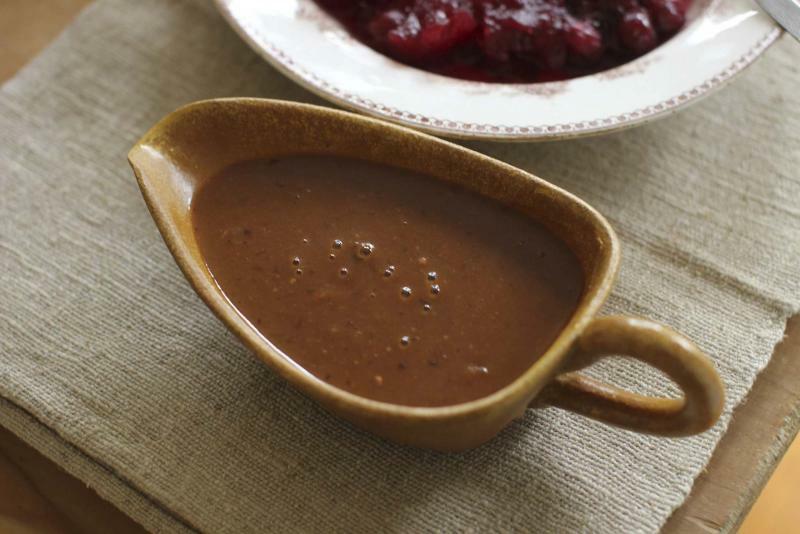 Remember, the gravy will continue to thicken after it is removed from the heat. A good rule is to use between one and two tablespoons of flour for each cup of liquid, and then give the mixture time to thicken. Question: How do you get brown sugar to stay soft? Mine is hard as a rock. Answer: Brown sugar hardens when moisture inside the container evaporates. All you need to do is replenish the moisture with one of these easy solutions. Place a cut-up apple or slice of bread into an airtight container with the sugar; softening will take about a day. Or you can drape a damp towel over the un-lidded bowl and leave overnight. A third option is to put the sugar in the microwave with a separate bowl of water. Turn the microwave on and check every 30 seconds to observe if the sugar is soft. A long-term fix is to purchase a piece of food-safe clay — these are available at most grocery stores. Soak the clay in water for a few hours and then store it inside the brown sugar container to keep it moist. Question: My son’s favourite robe stinks! It’s that musty mildew smell, similar to damp towels. I have washed the robe several times, but the odour remains. Any suggestions? Answer: Wash the robe using hot water, one cup of vinegar, one tablespoon of baking soda and five drops of your favourite essential oil. Remove the robe as soon as the wash cycle is complete and dry it immediately. I enjoy your questions and tips, keep them coming. Need a Presenter on the topic "Effective Speaking or The Power of Words"? Check out: Reena.ca.